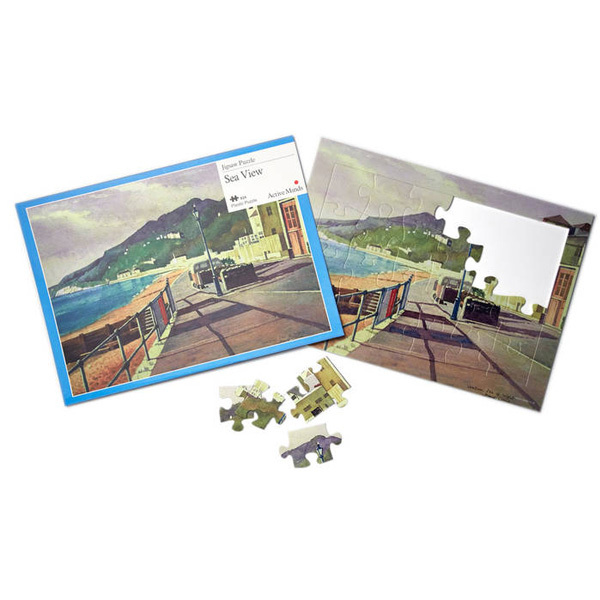 This 24 piece plastic jigsaw puzzle – Sea View, is designed for the person with early to mid stage dementia who perhaps finds the 13 piece puzzles too easy. As with the 13 piece puzzles the large, durable plastic pieces and plastic backing tray are easy to clean, to enable hygenic transfer between users – great for situations where infection control is important. Note – there is no outline of pieces or shading on the backboard to assist placement of the pieces, as is the case on the 13 piece piece puzzles. The frame around the edge and the picture on the cardboard storage sleeve can assist the person to complete the puzzle.